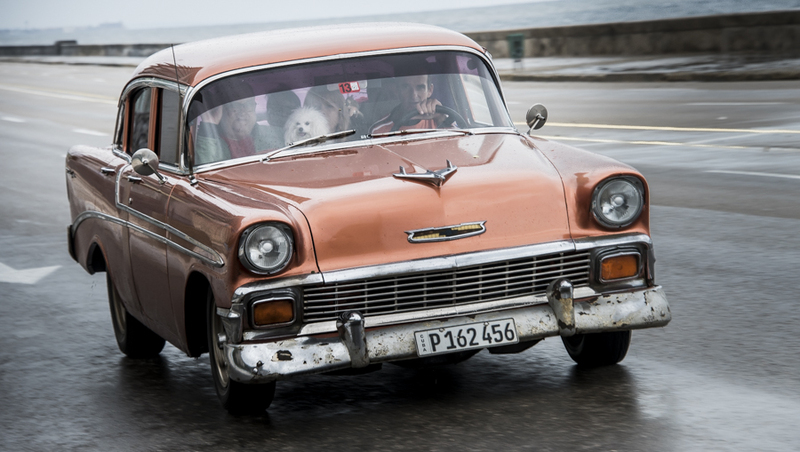 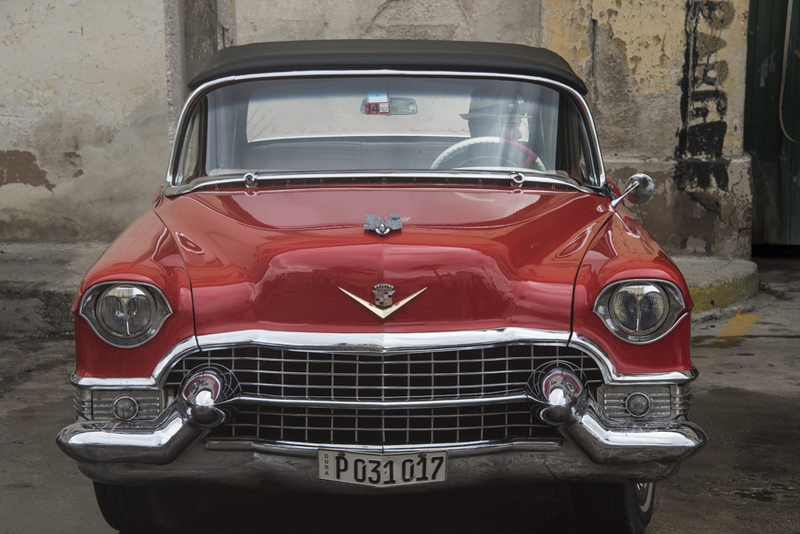 A beautifully restored red cadillac with driver wearing Cuban hat, Havana. 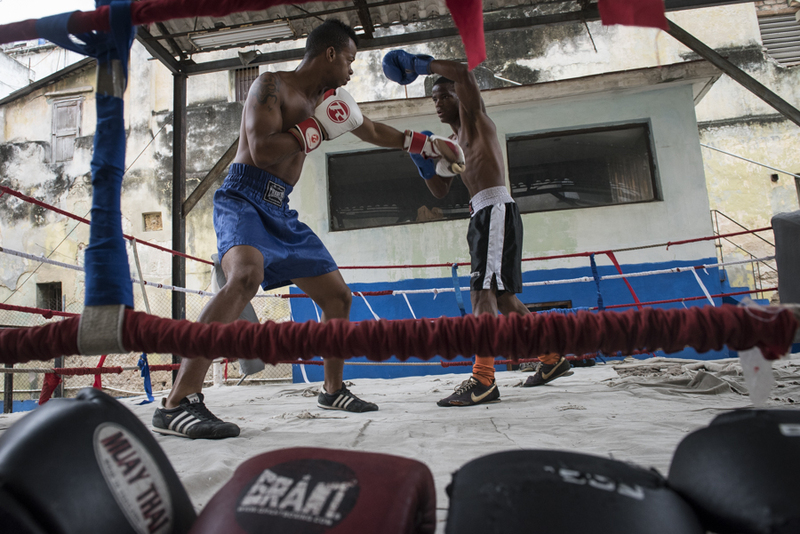 Boxers train at Rafael Trejo Boxing Gym (Rafael Trejo Gimnasio al Aire Libre), an open air ring with stadium seating in old Havana, lead by Cuban Olympic coach Nardo Mestre Florez. 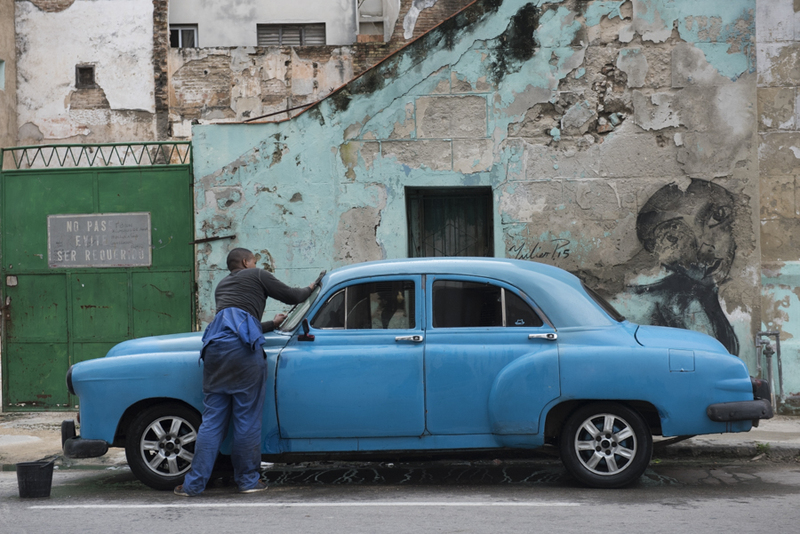 Boxing is perhaps the second most popular sport in Cuba, behind baseball.